trading route, producing tin and rubber. Hard hit in the 2004 tsunami, Phuket has made a full recovery, and is accessible by many international flights. Observing huge waterfalls, 40 native species of butterfly, a crocodile taming farm, or going sailing, yachting and scuba diving are all ways to experience the stunning nature in Phuket. 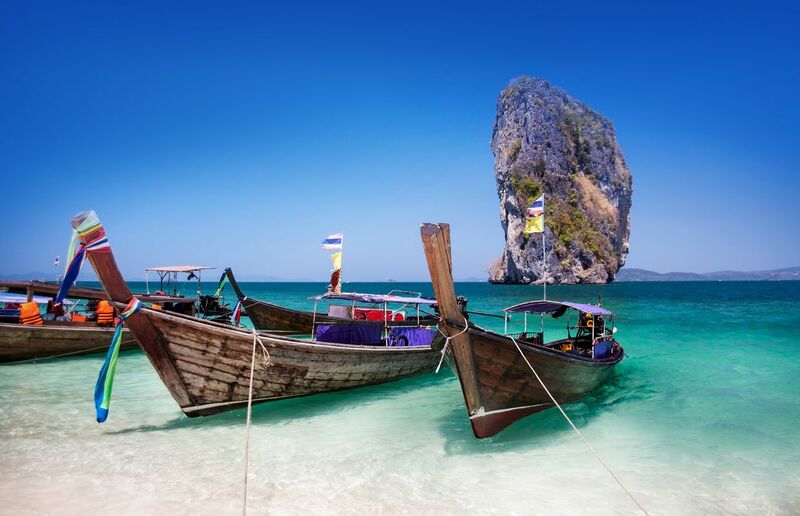 Phuket Island is one of the famous destination of Thailand. It is an island which is re developed after 2004 Tsunami. Now they are more tourists and from here you can go to Phi Phi island or James Bond Island or any island you wish to visit. These two islands more popular. Phuket is just too crazy crowded for me. If I am going to a remote tropical island I don't want to be surrounded (and annoyed by) all night parties and filth everywhere. There are some nice resorts though and you can get on a speed boat and escape for a while. But there is seemingly little left of any authentic culture. This place should be on the MUST AVOID AT ANY COST if you are traveling around new years. Full of tourist traps and very hard to not fall into those if this is your first time. The beaches are clean and nice but the hoards of tourists here can totally spoilt the experience. In December it felt like I was in Russia/Sweden with billboards in Russian for all shops and restaurants. Maybe at a different time , the experience would be a lot different. I liked Phuket very much. Sea, sand, palms, massage, coctails are everything you can dream about while relaxing.